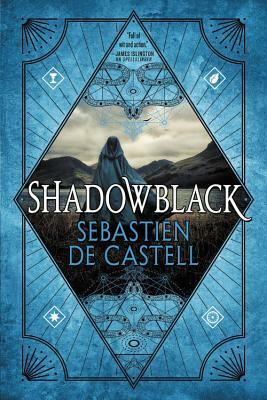 Thanks to Hachette Audio and Libro.fm for an ALC of ‘Shadowblack’ in exchange for an honest review. Receiving this ALC in no way influences my thoughts or opinions on the novel. I also want to thank Castell and Jameson for another highly entertaining adventure alongside Kellen, Reichis and Ferius. Note: If you have been following my reviews for the past year, you already know how much I love Joe Jameson as a narrator. I have absolutely nothing to add except that he continues to be one of the best in his field and will always get ALL THE STARS. If you enjoy fantasy novels and audiobooks, you simply cannot do better. Picking right up where Spellslinger left off, we join Kellen, Reichis, and Ferius trekking the borderlands and crossing paths with a young woman who is plagued with a deadly curse. This curse ends up being more widespread than Kellen could’ve ever imagined, and it is a race against the clock to save this mysterious woman and others before the curse courses its way through them. Meanwhile, enemies with advanced magical power begin to stack up around Kellen and his comrades, creating a whirlwind of danger that they may not be able to escape. Perfect,’ she said, then promptly sat down in the dirt. ‘You might be waiting a long time,’ I said. Castell has created such an easy-to-read, fun, and highly entertaining series here for all sorts of age groups. Just because it has a YA tag doesn’t mean adults can’t enjoy it as much as teens. There is just so much to love here: magic, mystery, murder, an unpredictable card thrower, and a squirrel-cat. What more could you ask for? While there is still no clear path for Kellen after becoming an outcast, there are several attempts made to push him toward one, though none seem to be working out. His days as a spellslinger, as well as having the shadowblack, continue to keep him on the lam, but at least he has friends (loose term) to keep him company. My favorite character of the series still has to be Reichis. His penchant for a hot bath and buttered biscuits, but also his consistent want to claw out his foe’s eyes, always keeps the reader on their toes because they never know what will come out of his mouth next. (He sort of reminds me of Lying Cat, The Will’s side-kick, in the Saga graphic novels by Brian K. Vaughan). If you read Spellslinger and liked it, you’ll pick up Shadowblack. If you haven’t had a chance to read Spellslinger, do yourself a favor. You won’t regret it. 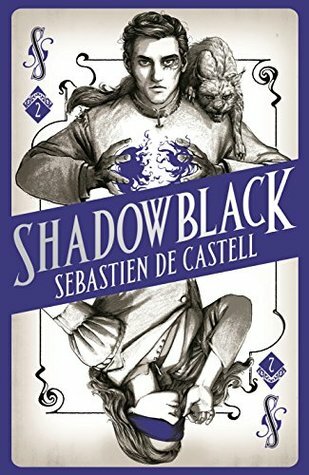 Pre-order your copy of Shadowblack (US) today! I have a copy ready and waiting to read, I can’t wait! I just need to get through a few other books first. Glad you loved it! That’s one heck of a new cover for the series! Looking forward to start this one after my current read (which is the new Murderbot novella, so it should be quick). I can’t wait! So many great books on my tbr pile. I still need to get to that one. Maybe I’ll read it this weekend since it just released.